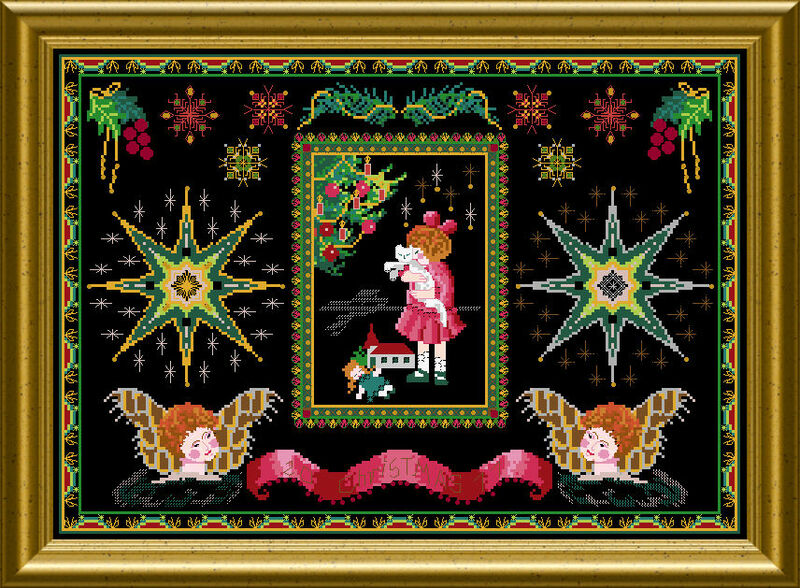 A design like a vintage greeting card recreating the magic and wonder of childhood Christmases. Festive colors of gold, red and green give a warm feeling. The Cherubs’ faces are worked over one for a smooth complexion color. You will use a collection of interesting threads – cottons and silks, beads and crystals. 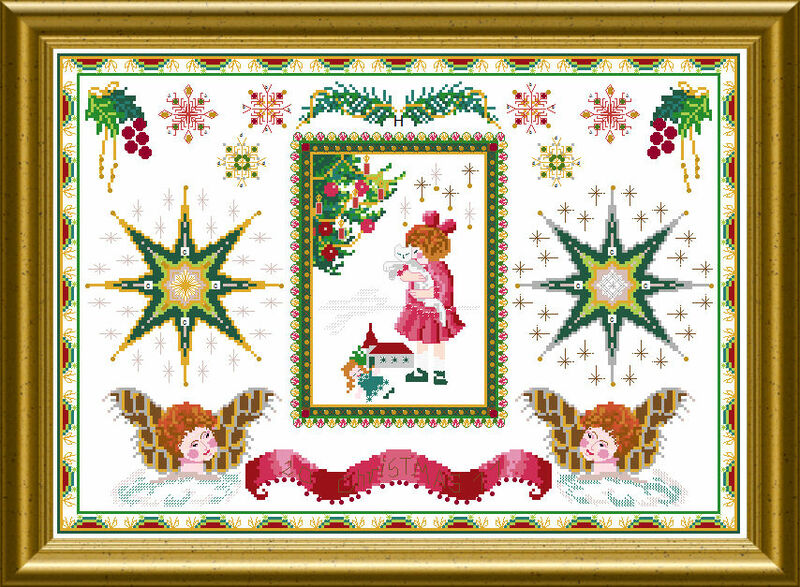 Together with the used Special Stitches this piece will have lots of dimension and interest. 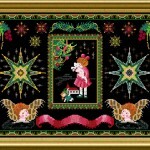 The mere design size is: 243 x 171 stitches.